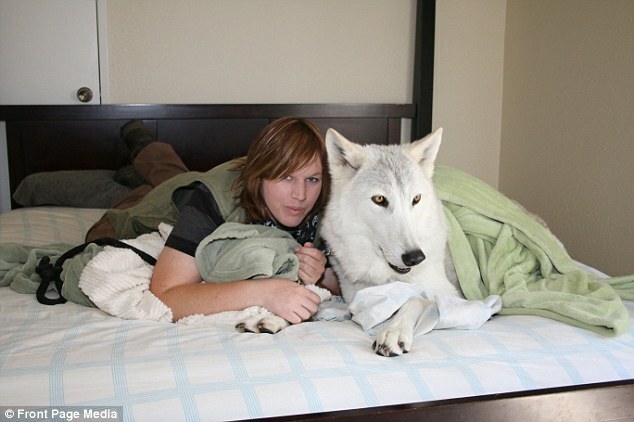 Kraus, a California conservationist, shares her bed every night with Damu - a cross breed of Timber, Hudson Bay and British Columbian wolf - at her ranch in Santa Rosa. Instead of going out to party, this 27-year-old enjoys slumber parties with her four-year-old furry friend, who often ends up spooning her while they're catching up on their ZZZs. Kimmi insists that the unusual sleeping arrangement is safe and that she trusts her animal companion with her life. She's been raising Damu since he was just six weeks old. 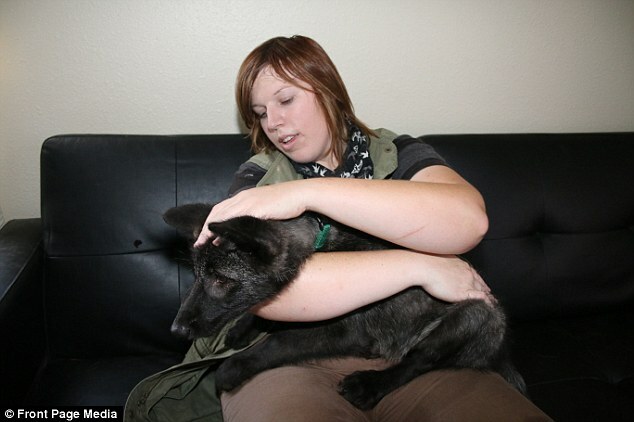 And now at five feet and 90 pounds she takes care of him and other wolves at her facility as part of an educational initiative launched to help people understand the importance of conservation in California. 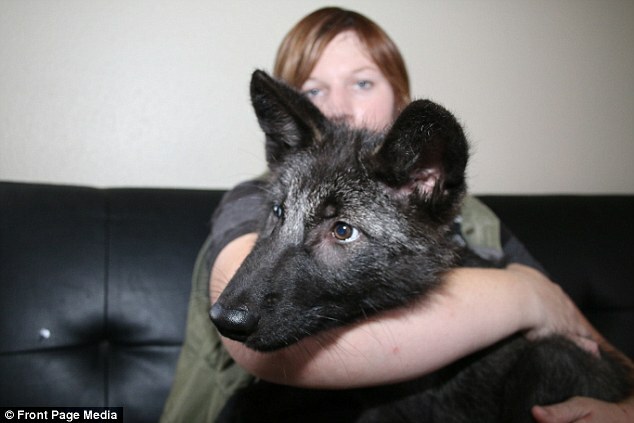 The wolves are born in captivity in government-approved wolf 'eco-education facilities.' 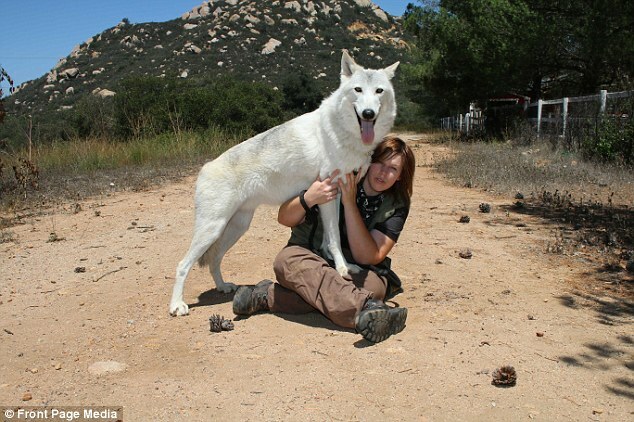 Those facilities work on the conservation of wolves and rescue work and rehabilitation. 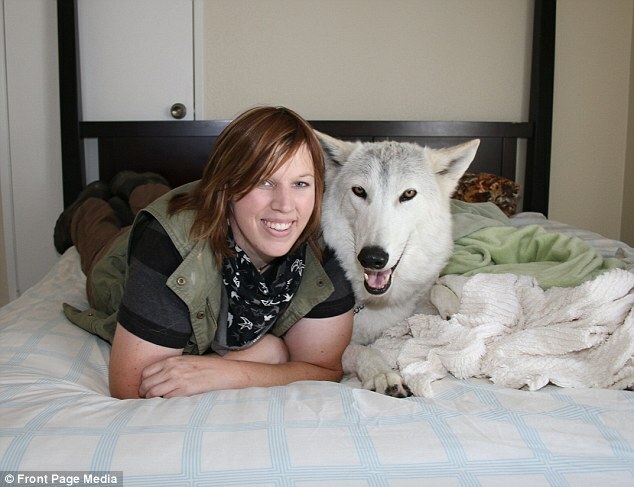 Responses to "Wolf Advocate Gives Up Everything To Live With Wolf Dogs"
I'm 68 but if I were younger, I would love to help this young woman. I've been to two wolf preserves near where I live. I've written about wolves (and the mythology surrounding them). In working with NA spirituality, I found that wolf was one of my guides. Most people do not understand how the wolf in the wild lives and that they're afraid of us. Education is the key to conservation and protecting our wildlife. I give this young woman a lot of credit for following her dreams and doing what is right for all of us. Blessings to her and her companions. I have always loved wolves since i was a little girl. 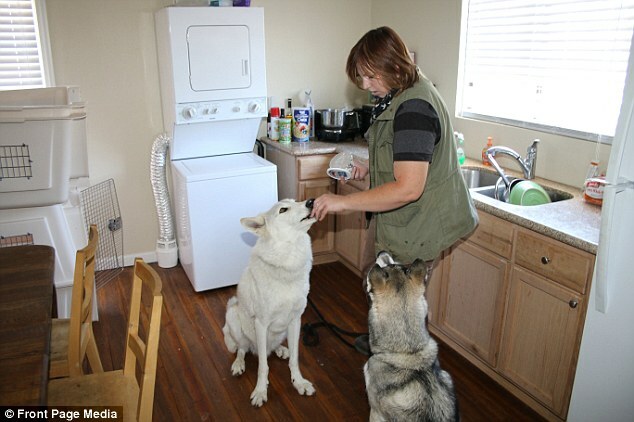 Always wanted to live with wolves and help people realize that we need them. If you need help i am willing to leave everything behind to help you. 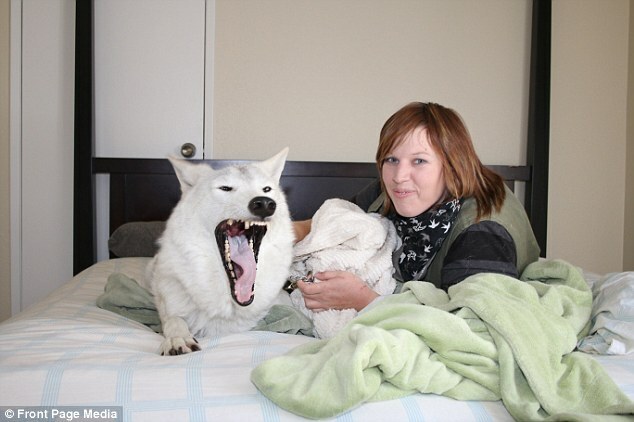 I'm happy most people are afraid of wolves. 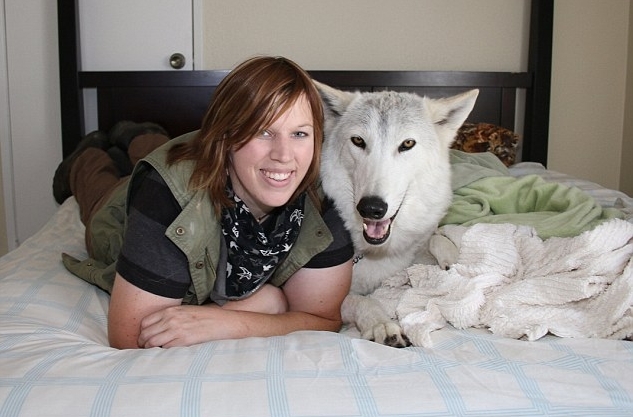 It keeps wolves from becoming the "wrong" pets. Humans aren't even on a wolf's menu, but so many fear them because of the old movies. I wouldn't trade my 2 for anything, and I'd trust them with my life. I had a hybrid years ago, and he was such a sweetheart! I have one now also (both white) and he is my best friend. I rescued him when he was around 6 months old. He was severely under weight, and acted like he had been hit by someone(s) before I got him. He's now happy, healthy, and I know I can trust him with my life! I think it's safe to say we would risk our own lives for the other. 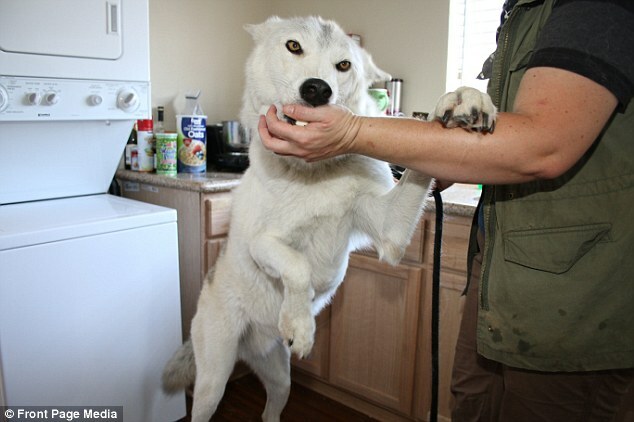 I have lived with several diffrent wolves in my lifetime. A female arctic (15yrs). now a canadian/arctic mix. He is 11 yrs old.I am a 62 yr old grandmother, and have been an example to my children and grandchildren of how we can get along with wolves. You are living my dream. Kudos to you. What does one need to do to join your team. Please, can you give me one ?? ?